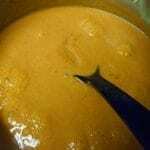 This is a very easy sweet potato soup recipe. A perfect vegan soup for any meal. This Homemade soup is Lo-Carb, gluten free & packed with of vitamins. Made with fresh vegetables that are delicately roasted in the oven and blended until smooth and creamy! Want something warm and soothing to comfort you? This sweet potato soup is exactly what you need. It is filled with ginger and spices that will make you forget the horrible weather outside. Fall was always my favorite time of the year in NY. After hibernating in the summer, I would start my fall with soup recipes. My favorite was always the sweet potato soup with a heavy dose of ginger. Even tough I am in Florida now, I haven’t lost my affinity for soups. I have experimented with Potato and fennel soup, broccoli soup, vegetable soup and even Orzo soup. I find that vegan soups are some of the most popular soups because they are simple and delicious. So, I kept this soup vegan by using almond milk. 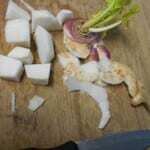 You can also substitute it with coconut milk or coconut cream. The star of this recipe surprised me. 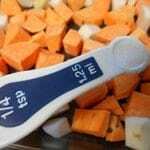 I thought the sweet potatoes would be the center of attention when it came to flavor. However, it is the dried Rosemary that stole the show! The rosemary packed quite a huge flavor punch to this soup and gave the soup a wonderful aroma. It became one of those soups that just warms you through to the soul. 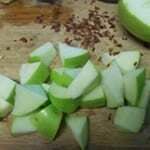 To give it a little nutty flavor, I added hazelnut to the recipe and green apples gave it a hint of sourness. 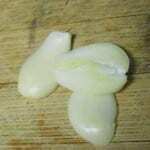 The turnips evened out the sweetness from the potatoes which is exactly what the soup needed. 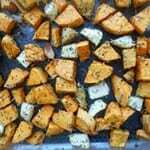 You can keep sweet potato cubes and put them into a navy bean soup. I love that soup for any time of the year. 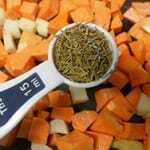 Have you checked out my 5 Tips on working with sweet potatoes? 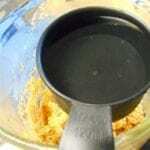 Add 3 small chunks of ginger to the mixture. Remove the skin. 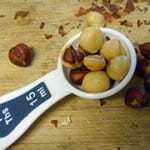 While the potatoes are in the oven, prepare 2 Tbsp of hazelnuts. Remove as much of the skin as you can. Remove from the oven and let it cool for about 5 minutes, no more. Add the potatoes into the blender. Add 3 tsp of almond milk. Add 1/2 cup of water and pulse. 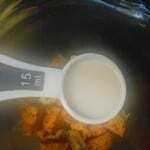 Keep adding 1/2 cup of water and pulsing until the soup is blended perfectly. 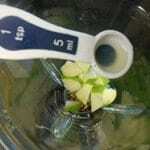 You will need about 5 cups of water and about 10 minutes of blending. Transfer to soup bowls and serve immediately. Garnish with cilantro. It will stay fresh for about 1 week. Heat well before serving. This sounds amazing! I think I have almost all of the ingredients on hand, except for the hazelnuts. Is there a substitution that can be used? Almonds? Cashews? Thank you! 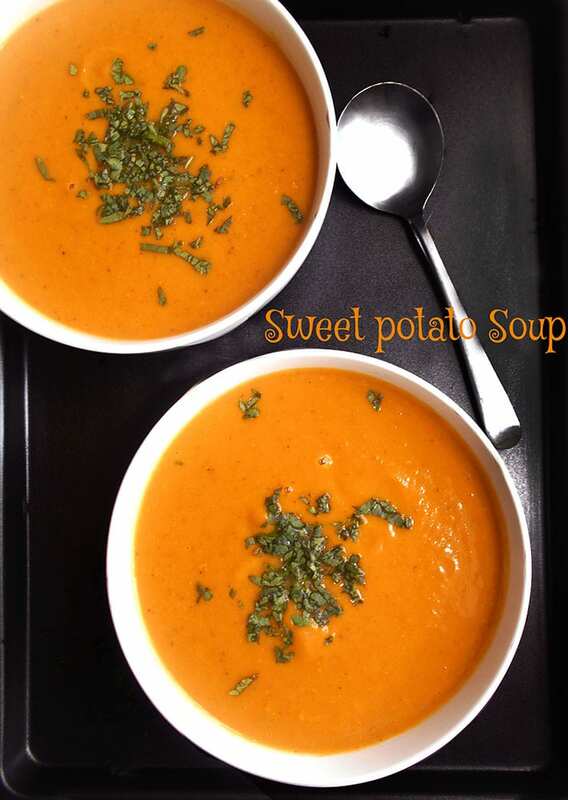 LOVE sweet potatoes and this soup looks sooooo flavorful! 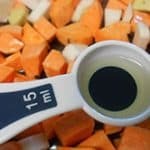 I’ve never made sweet potato soup where you roast the potatoes rather than boiling them. I bet it adds so much flavor! This soup looks delicious! This soup sounds so warm and comforting! 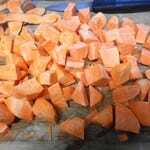 I’ve never made sweet potato soup when the sweet potatoes have been roasted first (rather than just boiled). I bet it adds so much flavor! 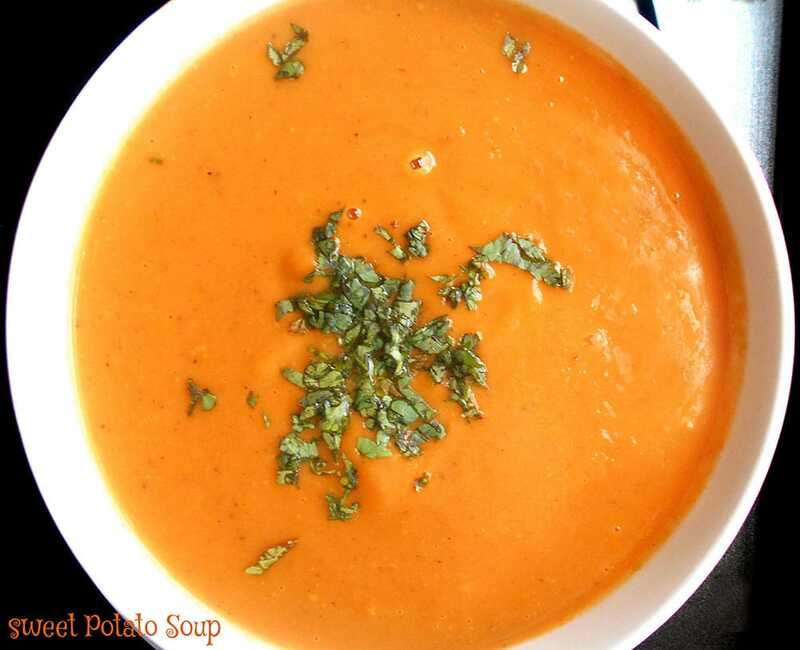 Such a beautiful, rich color to this sweet potato soup, pinning this one for sure – luv the use of the ginger. I’ve been enjoying using so much more of sweet potato this year – so versatile and healthy. I love the vibrant color of your soup – so very appetizing and with loads of flavoring I can see and almost taste how yummy it is! That sounds like such a lovely soup. I actually don’t think I have every had a sweet potato soup. I make soup out of squash all of the time. I think I’d better remedy that problem this Autumn! The idea of roasting the vegetables with all of those delicious herbs before making the soup sounds like the ticket to great flavor! Thank you, Kristen. I think this soup is so perfect for the fall. I love the flavors because they are heart warming. 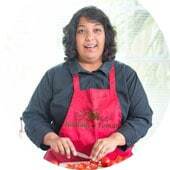 You are awesome for saying such lovely things about the recipe. Love the flavors! What a comforting dish! That looks so fresh and delicous! 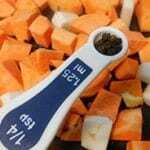 I never would have thought to add a turnip what a great idea! Such a gorgeous soup! The flavor with all the herbs must be amazing!!! ah, I made sweet potato soup too, but I bet the flavors are fairly different. Roasting veggies gives a great flavor I’m sure! My sweet potatoes were just boiled. Thank you, David. 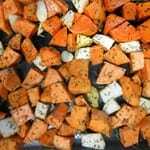 I like roasting sweet potatoes because it makes them tender and juicy. I will try boiling them next time. 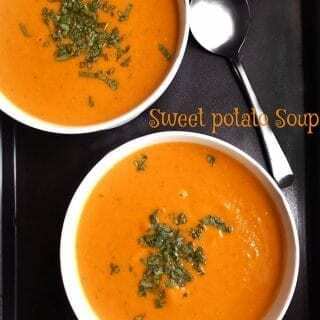 I love sweet potato soup, so warming and comforting and perfect for this time of year! !